Find your copy of Virgin Territory | Welcome to Virgin Territory! I am so excited about the phenomenal places that have agreed to carry Virgin Territory. As we’re all aware, people who sell books these days have to be more than bookstores. Usually they are more like force fields in their communities. 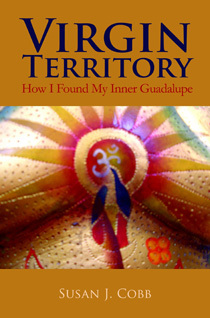 Each of the places listed below is a Guadalupe Gateway — a great place to enter Virgin Territory! Clarita’s — no website, but everyone who speaks English knows where it is. Lubbock, Texas — Hey! I found my peeps in West Texas! Pingback: Virgin Territory: An anniversary and a new beginning | Welcome to Virgin Territory!